Don is heading over to Denver for a good chunk of July, so no extra tours this month, open to just anyone who shows up — the tours arranged for groups by appointment are still rolling, of course. But you can mark your calendars now for Sunday August 5 and Sunday August 19, two tours with a noon start just like normal where all you have to do is show up with a tenspot in hand, everyone welcome. And in September you’ll find tours offered every Sunday in the month. Last month Don drove out to Cross Plains, Texas, for the annual Robert E. Howard Days. 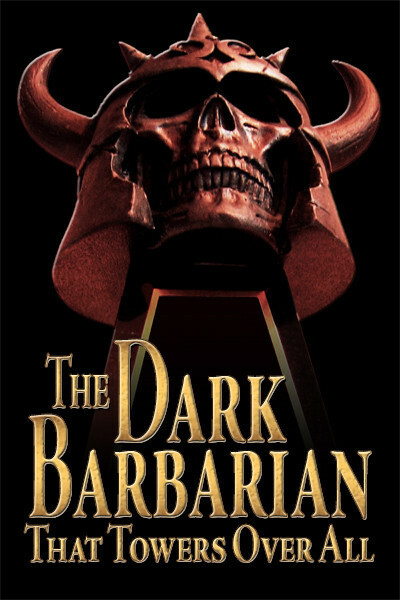 His plan was to pick up the Cimmerian Award he got a couple of years ago for his critical anthology The Barbaric Triumph, but what ho!, in this year’s voting he ended up copping two more awards. He was presented with the Black River Award for discovering the typescript of Howard’s first book, A Gent from Bear Creek, plus a cache of heavily-annotated books owned by Howard’s father — discoveries he wrote up in the August and September 2006 issues of The Cimmerian. 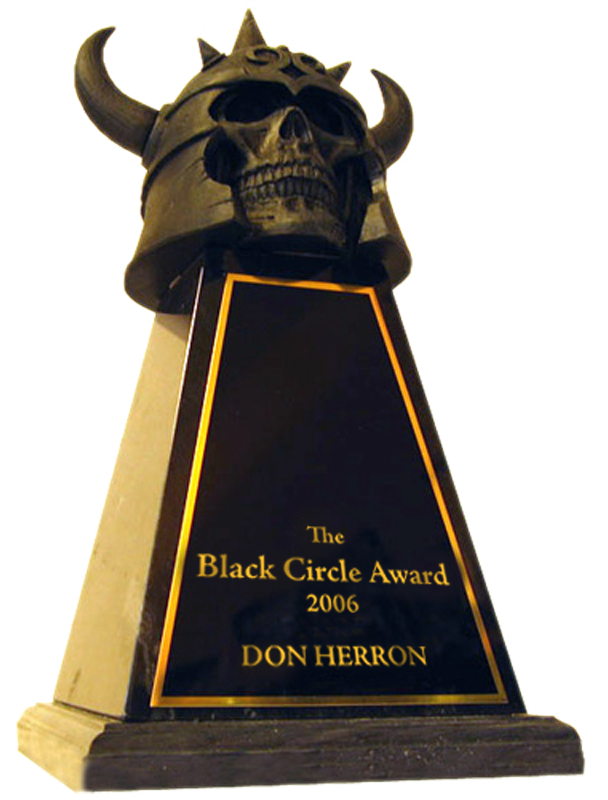 Even better, he garnered a Black Circle Award for Life Achievement in Howard studies, the Big Kahuna of Howard-related awards. Very nice, and Don thanks all the folk who voted. 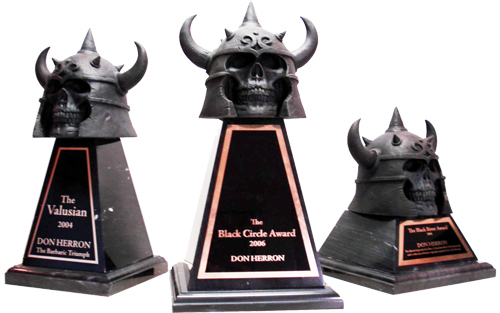 He doesn’t know if he’ll be back in the running for any more Cimmerian awards in the future, but these three make for quite a haul already. Barbaric. Heavy marble bases. Cool skulls. After the walk Don and Ace and a couple of other guys adjourned to the Ha-Ra Bar on Geary Street, where they were joined for some hard-boiled talk and drinks by Bill Arney — and better yet, Carl the bartender. Carl is a prolific reader of detective novels and put the crew to the test with question after question. Luckily, Carl already owned a couple of Ace’s novels and Don knows enough about this stuff to hang in there when the questions got tough, so not only did they not get 86ed, but Carl stood them to a round of drinks. Thanks, Carl. This entry was posted in Frisco, Lit, News, REH, Tour and tagged Ace Atkins, Bill Arney, Black Circle, Carl the Bartender, Ha-Ra Bar, Howard Days, The Cimmerian. Bookmark the permalink.